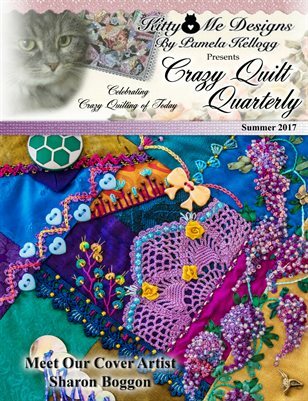 The Summer 2017 issue of Crazy Quilt Quarterly magazine features Sharon Boggon as our cover artist. The theme of is issues is buttons! You will find tutorials, patterns and eye candy by our wonderful contributing artists.